Menu: Tuna Salad w/crackers, cheese, and veggie sticks. 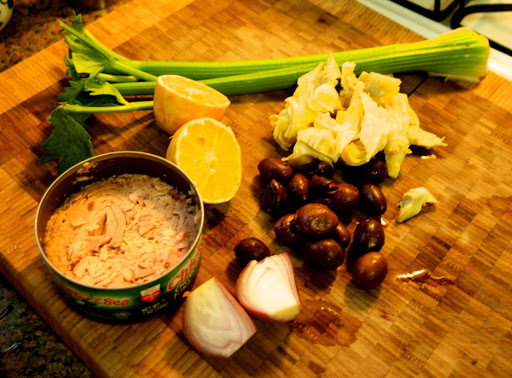 Mix tuna through lemon juice and stir to combine. Add 1-3 TB EVOO to your liking and season to taste with S & P. Chill salad if you have the time. Serve! This entry was posted in salad, seafood by callywoodfarms. Bookmark the permalink.